In order to keep offices at a temperature deemed fit for ­employees during the heatwave, companies all over the UK are finding themselves ever more reliant on air conditioning units throughout the working week. 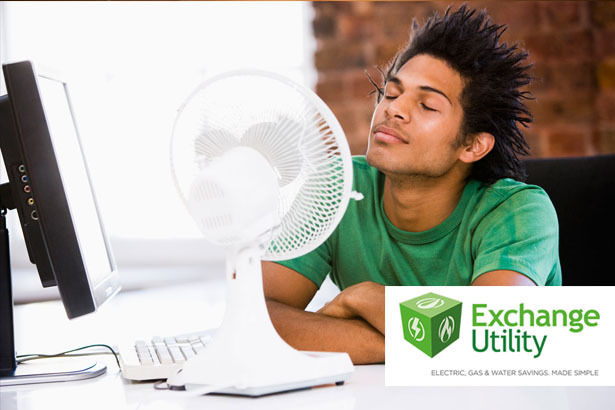 However, this cooling method can make a huge difference to the electricity costs of a business. The average device uses 16,200 watts over a 10 hour period, which means the additional cost can run into hundreds of pounds when used excessively in months June, July and August. Those who are using desk fans will also be adding to the cost of business electricity bills this Summer. Based on one average sized electric fan with a wattage of around 25-75, the cost would amount to around £1 a day. This doesn’t seem an unreasonable amount maybe, but 10 employees with a desk fan each could add an extra £100 to office bills in a fortnight and that can soon start adding up! We often associate higher energy bills with the Winter months, however those using air conditioning as a way to keep cool at home and work could be in for a big shock when their electricity bills arrive. People looking to avoid racking up hundreds of pounds in energy bills this summer would be advise to review their energy provider to see if they are paying over the odds for their electricity. Want to reduce electricity bills but still keep cool in the heatwave? Turn on air conditioning units for a few hours in the morning and cool down offices ready for employees’ arrival. Use moderately throughout the day to control temperatures. Open some windows, preferably more than one, on different sides of the office – to allow more air to circulate during the heatwave. Keep blinds, curtains or shutters closed during the day on the side of the room where the sun is shining. Keep lighting to a minimum. We’re not suggesting you ask employees to work in the dark, but light bulbs – even if they’re environmentally friendly – give off heat. The sun shines for longer now anyway so keeping some lights off not only saves on your energy bill, but cuts down on the extra heat. Encourage workers to share their fans with those sharing a desk rather than having one each. During these scorching temperatures it is of course imperative that you provide employees with a comfortable working environment and temperature. However, these tips should help you to find a good balance and to help keep electricity costs from rocketing this Summer. Looking for other ways to control energy costs? Exchange Utility can look into your usage for you and search the market for more competitive rates and tariffs. We work with some of the best suppliers in the UK and provide impartial comparisons and advice to thousands of UK businesses. See what you could save, compare now.